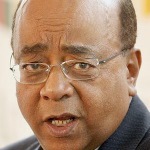 Dr Mo Ibrahim is the founder of Celtel International and one of Africa’s most successful business leaders. Originally from Sudan and educated in the Middle East and the United Kingdom, Dr Ibrahim is a respected global expert in mobile communications with a distinguished academic and business career. In 1998, he founded MSI Cellular Investments, which was later renamed Celtel International. The company operates in 15 African countries, under licences that cover more than a third of the continent’s population. The company has invested more than $750 million in Africa, helping to bring the benefits of mobile communications to millions of people across the continent. In 2005, Celtel was sold to MTC Kuwait for $3.4 billion, making it one of Africa’s most successful companies ever. He established the Mo Ibrahim Foundation to encourage better governance in Africa as well as creating the Mo Ibrahim Index to evaluate the performance of nations.